Jamie here to share a simple Christmas card with you! I made a Christmas tree out of the Hexagon from Mini Tag Dies. I used the Christmas Wishes set for the sentiment. 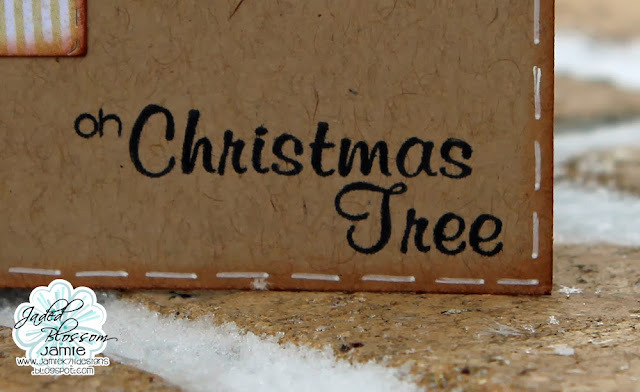 Here's a close up of the tree, love how it turned out! I finished off the card with a twine bow and some white faux stitching. LOVE this idea!!!! FAB job! 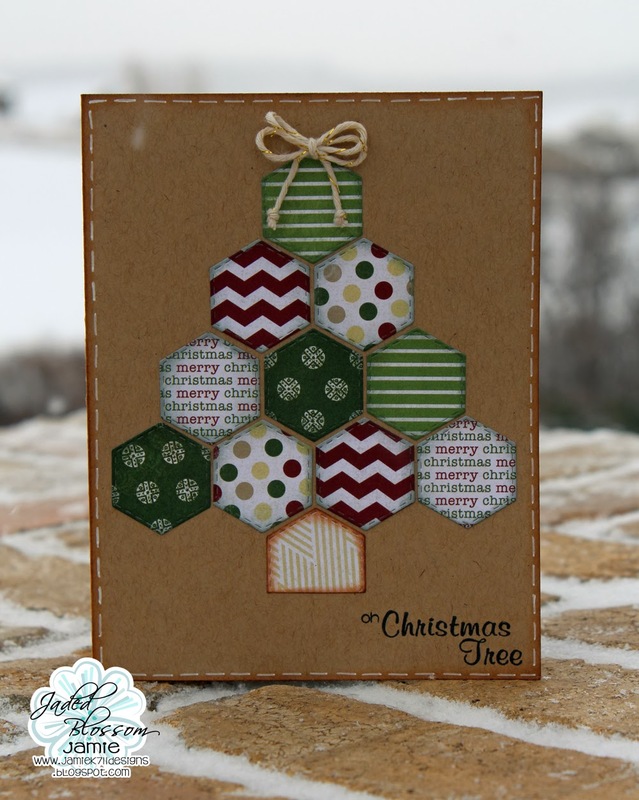 What a clever idea and great way to use up scraps!! Amazing! I love this card! This is great!! I love everything about it! Adorable. 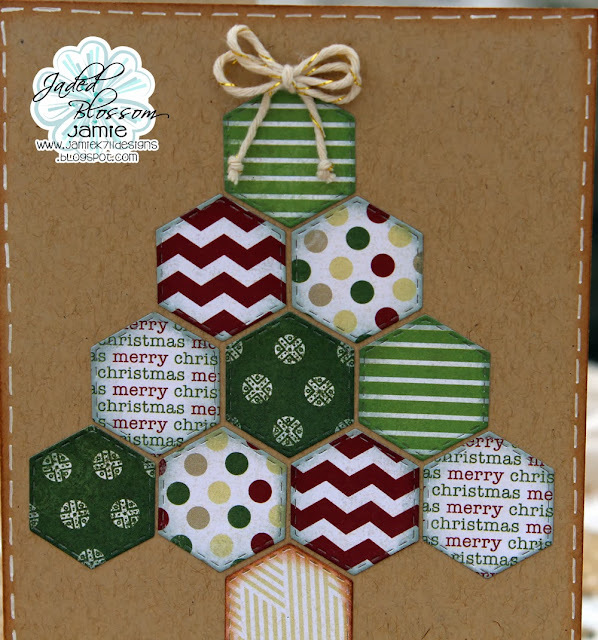 Best use of hexagons yet. Love our stitches and inked edges too. Thanks for sharing your talent.